NABS takes very seriously its responsibilities in relation to duty of care and provision of services to sign language users. Our responsibilities are the same whether you are a Deaf child or a Deaf adult. NABS provides Sign Language interpreting services to children who use Sign Language. 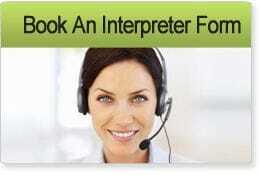 It is not the Interpreter's responsibility to take the child into the appointment. It is the parent or carer's responsibility to be with the child during the appointment. When requested NABS will make every effort to provide an interpreter who holds a Working With Children card. If we are unable to find an interpreter to meet the needs of your request we will consult with you to ensure the best possible outcome for you and your child/ren. Deaf Consumers can print a letter to give to their health care provider when making an appointment. Please print Letter To Your Doctor and take to your doctor or health care provider so they know you want a Sign Language Interpreter.